Via Evaluation | Via Evaluation is officially certified WBE! HomeNewsPostsVia Evaluation is officially certified WBE! Via Evaluation is officially certified WBE! 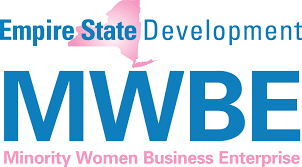 We are incredibly excited to share that Via Evaluation is now a CERTIFIED Women-owned business (WBE) by New York State, Empire State Development, Division of Minority and Women’s Business Development! As you may remember, last year, Jessica Weitzel and Komani Lundquist purchased majority shares of Via Evaluation. Shortly thereafter, they submitted their application for WBE. We are excited to have finally received our approval from the state! This will enable our clients, who frequently have contracts that require MWBE compliance, to utilize Via Evaluation to meet those requirements. The best part? They will continue to get the best of what Via has to offer! Thank you to everyone who has been on this journey with us!